After the view from the North of the island yesterday here is a view from the South with the mountains showing even less snow from this side. Normal as they are South facing. 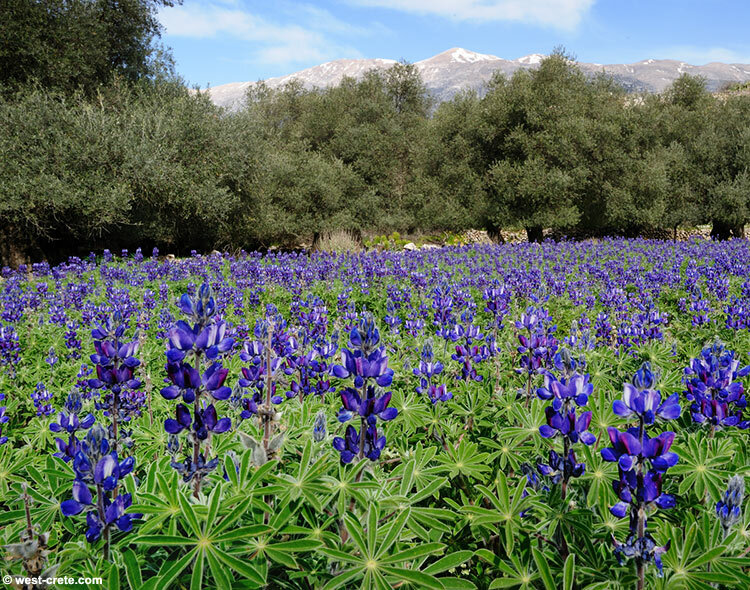 The lupins were growing in Anopolis.